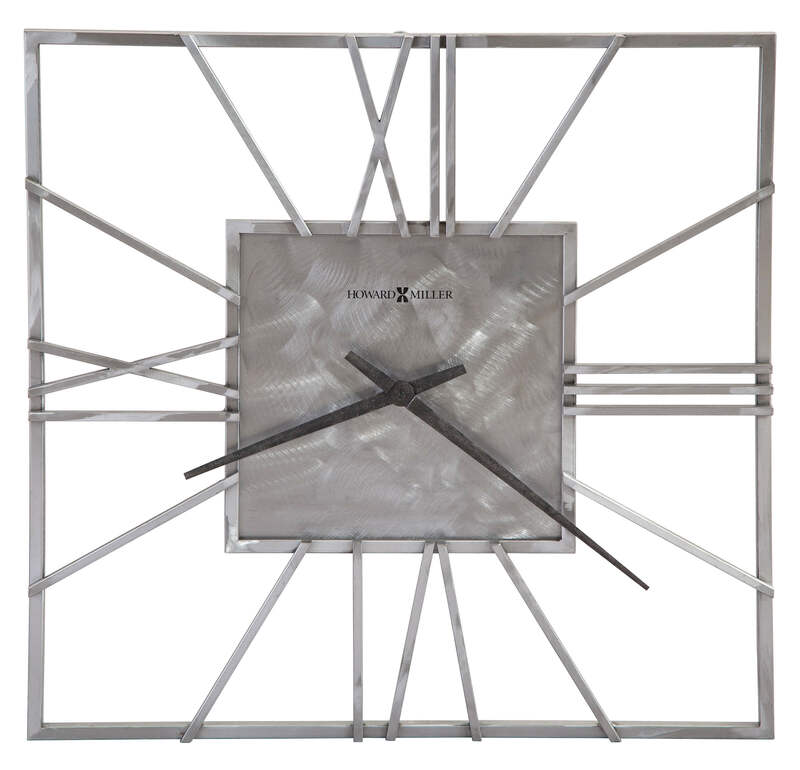 A 24" square wrought iron wall clock with applied Roman numerals, markers and center panel with a natural machined steel finish with grind marks and distressing for and industrial look. Straight, tapered hands are in a charcoal finish. 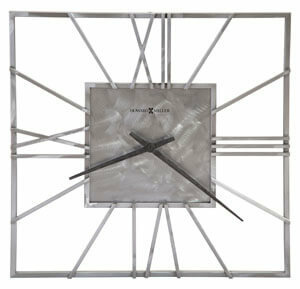 You will save $63.30 (30 %) on this Howard Miller Lorain 625-611.